Bhairav Trivedi is the Chief Executive Officer of Network International LLC, the largest acquirer in the UAE, and one of the leading payment solutions providers in the Middle East and Africa. He is the Chairman of Network International Egypt S.A.E; Network International Global Services India Pvt Ltd; Network International Singapore; Diners Club International UAE, Egypt, Jordan and Lebanon; and Times of Money Ltd., India. Prior to joining Network International, Bhairav was the President and Chief Operating Officer of Sigue Global Services Ltd., a leading global money transfer company. Bhairav was also Managing Director, Global Head of Remittance Services at Citi’s Global Transaction Services from 2008 to 2010. He joined Citi as part of its acquisition of PayQuik, Inc., an infrastructure and service provider to banks and financial institutions in the international money transfer space, which he founded in 2000. 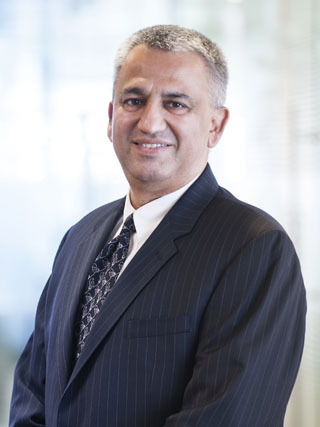 Prior to founding PayQuik, Bhairav worked at McKinsey and Company in New York, before which he held key positions in Providian Bancorp and Fair Isaac, a specialty consulting firm. Bhairav holds an MBA from the Wharton School of the University of Pennsylvania, and Masters in Engineering Economic Systems from Stanford University. He has an undergraduate degree in Engineering from the Birla Institute of Technology, India..